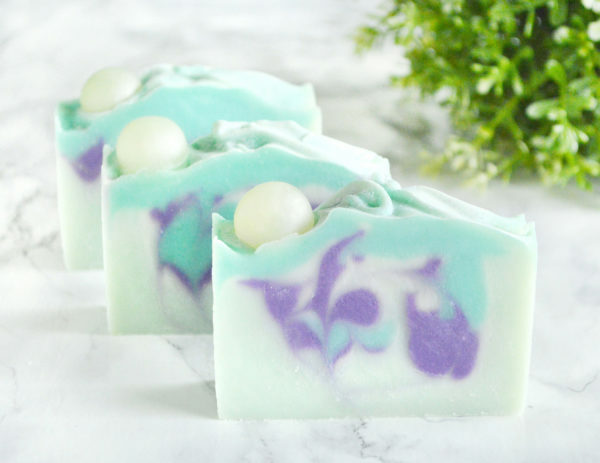 If you want to feel like a mermaid every time you wash your hands or take a shower, this handcrafted soap is made for you! 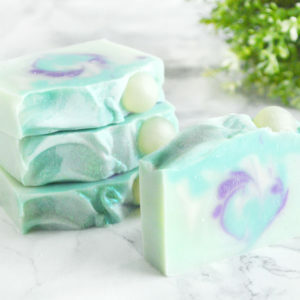 This listing is for 1 Mermaid Soap. 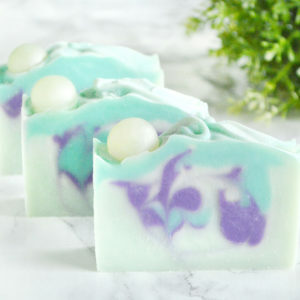 This soap scented with Sea Breeze, a refreshing and energizing beach scent. 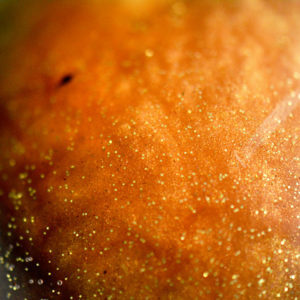 The pearl, glitter and the wavy texture will leave you daydreaming of underwater treasures and days at the sea. 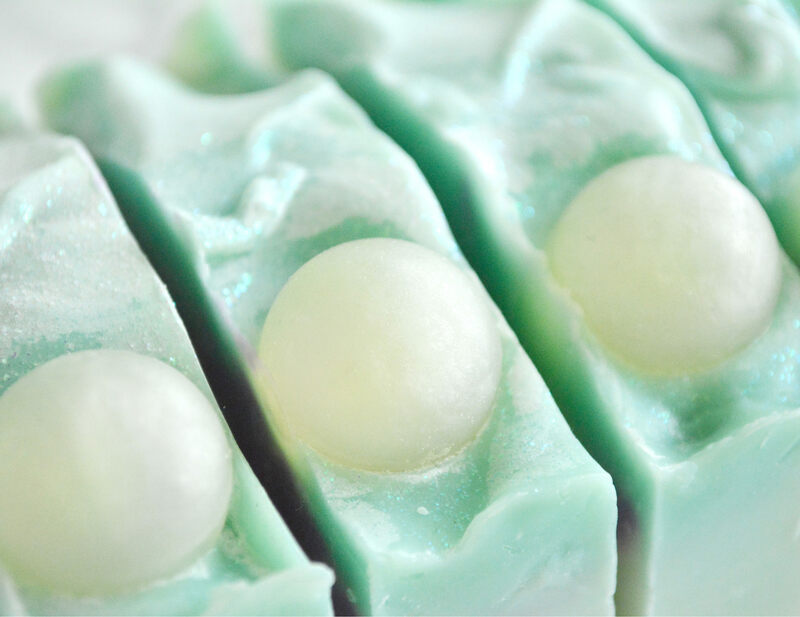 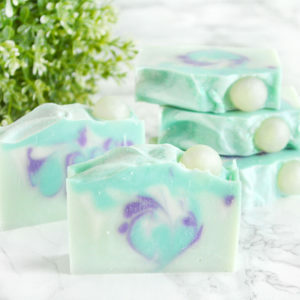 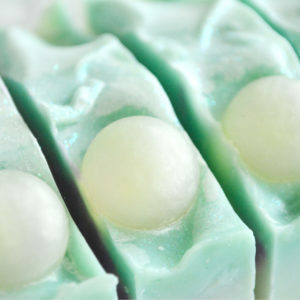 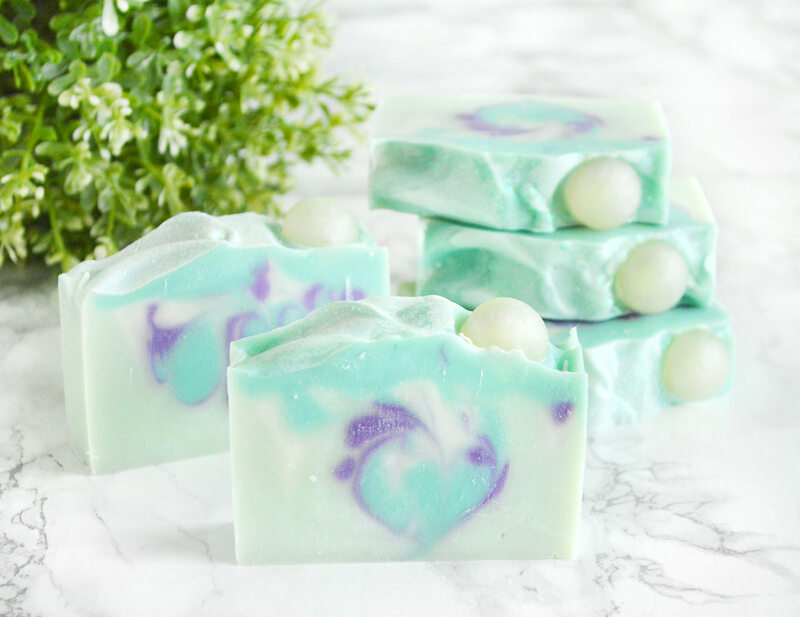 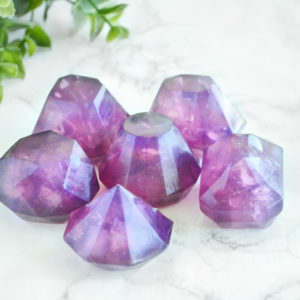 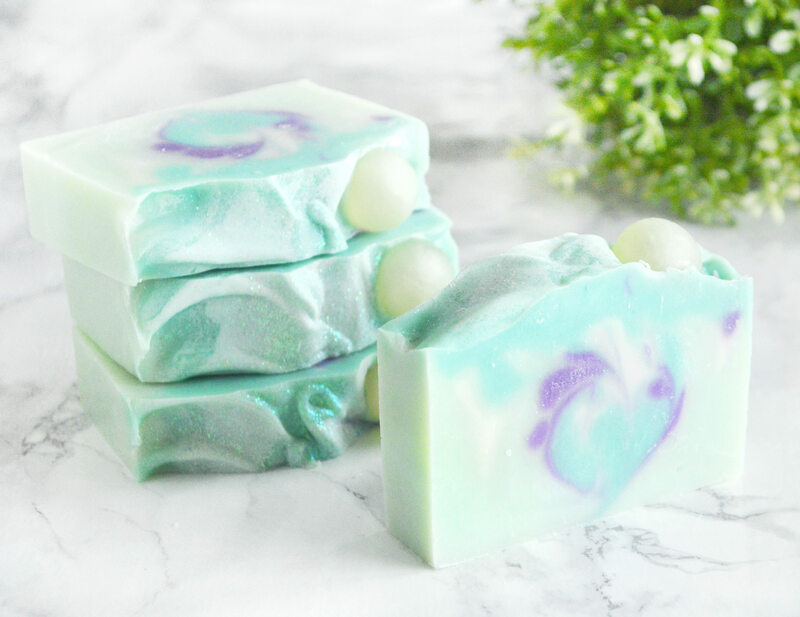 This cold process soap can be used as a unique mermaid party decoration for your guests to adore, or as temporary mermaid decor that will spoil your senses and skin. 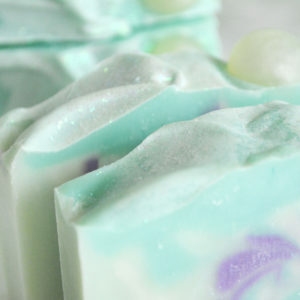 Our Mermaid Soap is scented with Sea Breeze – a fresh, light and soothing scent. 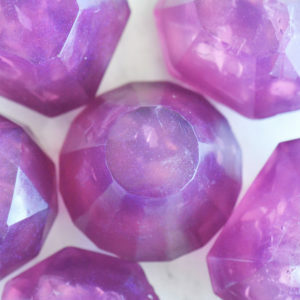 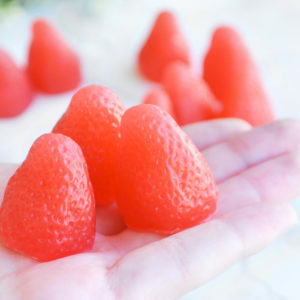 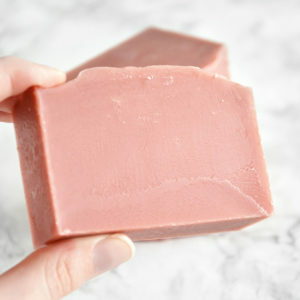 It has sparkly ozonic qualities with a touch of citrus, and smells just like a light breeze on a foggy day at the beach. 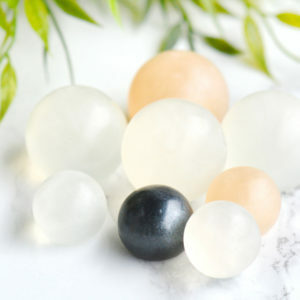 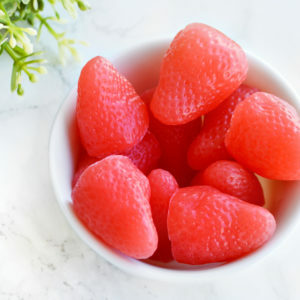 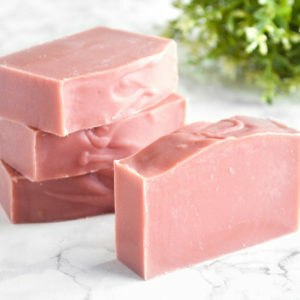 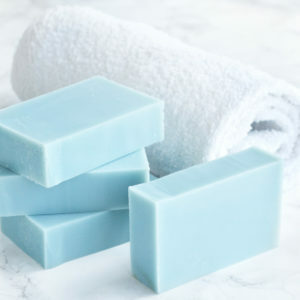 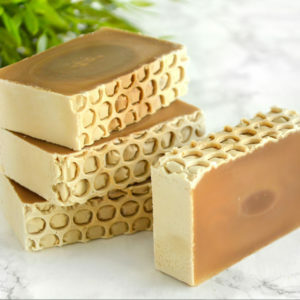 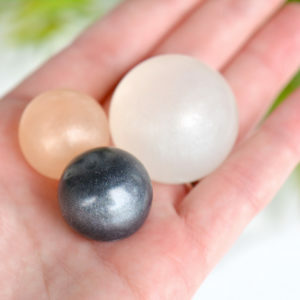 This soap can be used on your hands and body, and we recommend always placing soap bars in draining soap dishes between uses to extend their life span. 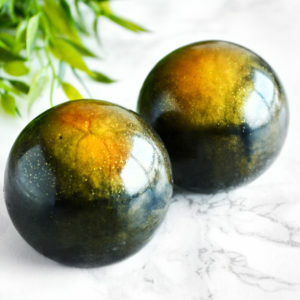 Olea Europaea (Olive) Oil, Aqua, Cocos Nucifera (Coconut) Oil, Sodium Hydroxide, Helianthus Annuus (Sunflower) Seed Oil, Brassica Campestris Oil, Ricinus Communis (Castor) Seed Oil, Parfum, Titanium Dioxide (CI 77891), Mica (CI 77019), Chromium Oxide Green (CI 77288), Iron Oxide (CI 77491), Manganese Violet (CI 77742), Alpha-Isomethyl Ionone. 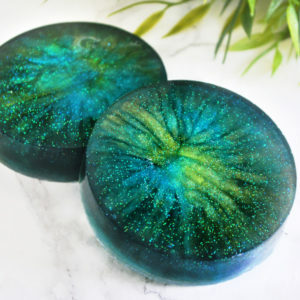 My bathroom is a beach theme and the soap fits right in. 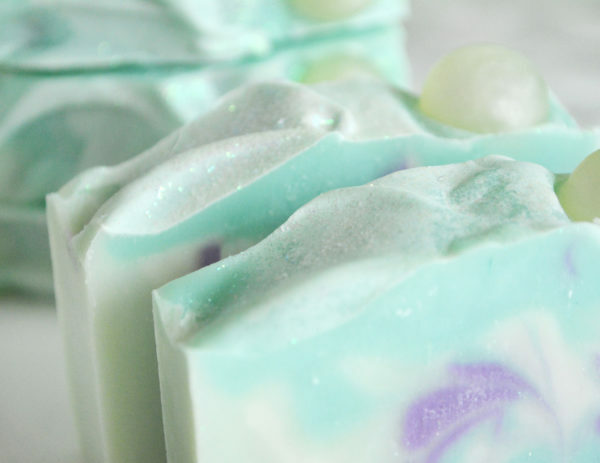 It smells so good and is so pretty. 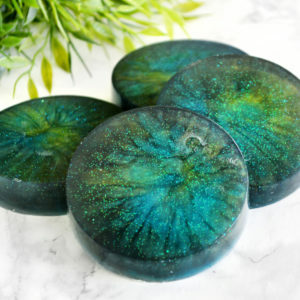 The soap shipped incredibly quickly for having to cross continents, and it is the most beautiful bar of soap I’ve ever seen. 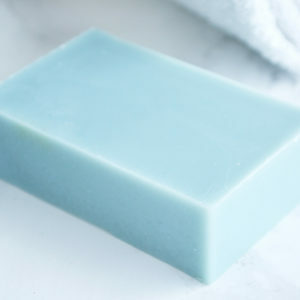 I also enjoy the pleasant and subtle fragrance. 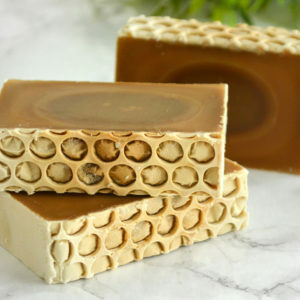 I will definitely be coming back to try the other available soaps!